CLAREMONT — PathWays of the River Valley is excited to announce its participation in NH Gives, a 24-hour, flash mob of giving, hosted by The NH Center for Nonprofits. PathWays serves individuals with developmental disabilities, including acquired brain disorders, in Sullivan and Lower Grafton counties. Currently they support over 600 individuals and families. The agency works with its clients to provide ongoing, individualized supports, and collaborates with local agencies, programs and businesses to provide individuals with meaningful work, recreation and community life. PathWays is looking to kick off its inaugural giving campaign by raising $5,000 and acquiring 100 donors. The funds are earmarked to help offset the costs of non-Medicaid reimbursable expenses for adults and children with developmental disabilities. An initiative of the NH Center for Nonprofits, NH Gives is designed to fundraise as much money and awareness as possible for New Hampshire’s nonprofits within a 24-hour, flash-mob of giving. In 2016 more than $188,000 was donated to nearly 300 organizations through the initiative. To encourage giving, the Center, with the support of its sponsors, will be awarding cash prizes throughout the day to nonprofits who meet certain benchmark fundraising goals. “PathWays was created by a group of families in Claremont over 40 years ago. Your generous donation will allow us to continue this important work,” said CEO Mark Mills. Pathways hopes to create a social media frenzy during the event, and spur donors to friendly competition to drive fundraising. Sponsor incentive prizes include $500 for the first donation statewide and a $1,000 prize for the most overall donors. The nonprofit is reaching out to local businesses, families, and organizations alike to join the competition and help the regional nonprofit stand out on the state leaderboards, which will be broadcast in real time by WMUR and iHeart Media Group. Citizens from 24 towns across Sullivan and Lower Grafton counties will have the opportunity to rally around the local nonprofit via a unique online giving event that kicks off at 6 p.m. on June 6. 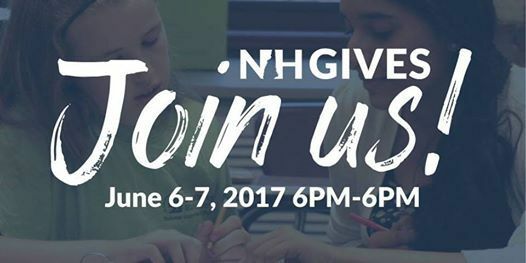 The NH Gives event will kick off at 6 p.m. June 6, and commence at 6 p.m. June 7. Those who want to participate and learn about donation levels can visit http://www.nhgives.org/organizations/pathways-of-the-river-valley-600702… to donate directly to PathWays. For additional information please visit www.NHGives.org and enter PathWays in the search. Otherwise call (603) 542-8706 and ask for Jennifer Ucci or Kerry Sally.